It’s April. So that means there’s a good chance of rain! In the 1920s and 30s, the raincoats and trench coats weren’t quite the same as we have today. It all started because of World War I. Little did Thomas Burberry know that his revolutionary invention of gabardine would change the history of not only the fashion, but also the war. Raincoats are known for their water resistant material. In 1823, Charles Mackintosh developed the first waterproof coat. He formed it using rubberized cotton, which would face a multitude of problems. First of all, sewing needles would create tiny holes where water would seep in. So much for water resistance. Besides unable to be sewn, it would grow stiff in winter and sticky in the warmer temperatures. In 1843, vulcanized rubber was invented, giving rubber a greater amount of durability and flexibility. The next development for raincoats came in 1879. The Burberry Company, run by Thomas Burberry, developed gabardine. It coated individual fibers, giving even more flexibility and movement to the coat. In past years, producers would cover the entire coat in a chemical substance which hadn’t allowed for a natural drape unlike gabardine. Then in 1926, Dr. Waldo Semon from Akron, Ohio wanted to find a way to bond rubber to metal. He experimented by exposing discarded material and chemicals to heat. Polyvinyl chloride, also known as PVC or vinyl, was the result. It was a felxible “gel” much like natural rubber. 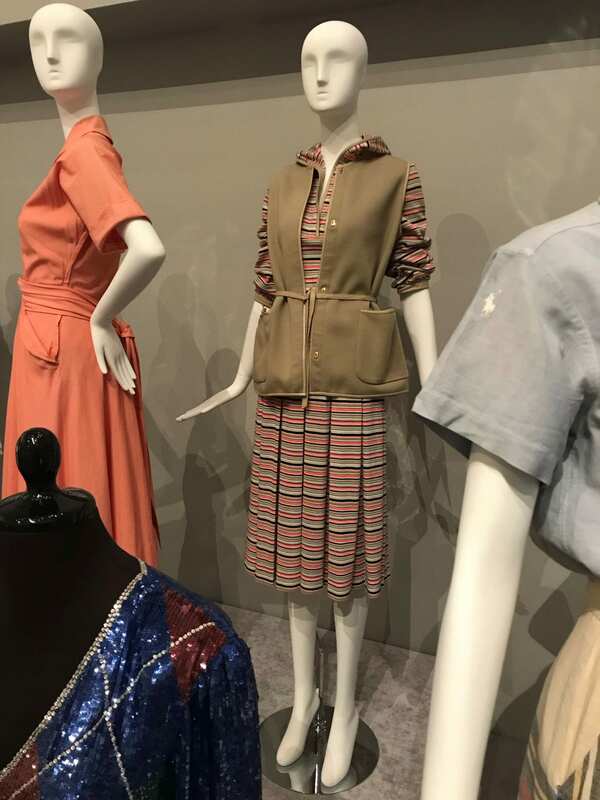 In the 1920s and 30s, this was the main resource used in the production of raincoats. However, there was still an issue with this way of production. It was rather uncomfortable to wear and you still got wet. The wetness wasn’t from the rain, however. Rather, your sweat was not able to escape. The next invention in rain gear was the trench coat. The idea of the trench coat was originally developed during World War I. 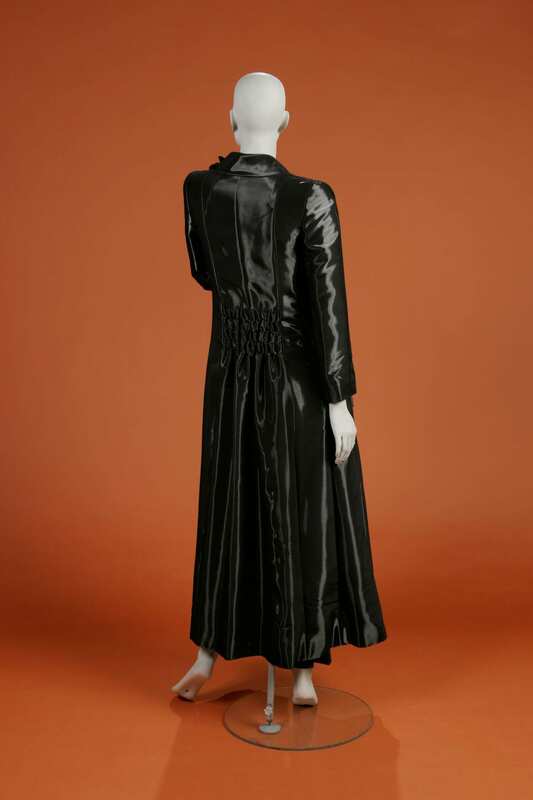 Once again, this was a design invented by Mackintosh using rubberized cotton. During World War I, there was a high demand for lighter, more breathable, flexible, and weather proof coat. Officers and soldiers alike were wearing overcoats of serge made with a thick woolen material. This was doable on the home front, but in the trenches, it was a whole other story. The overcoats were too long and a sponge for mud, which made them even heavier and difficult to move in. The trench coat was the answer to all their problems. Two men, Thomas Burberry and John Emary, both claimed the invention of the trench coat. However, Burberry’s claim may have been more reliable with his invention of gabardine, the flexible, breathable, and waterproof fabric. Today’s trench coat is influenced by the initial design meant for military. On the front, we have the epaulettes. They were designed to display the rank of an officer. On the back, we have the storm shield and pleat. The storm shield enabled water to run off the coat and maintain dryness. Pleats were made to allow for the ease of movement, especially when riding horseback or running. The same design is still made today. Gabardine, the water repellent and ventilated fabric, is used as well. What may be even more recognizable then the coat itself is the “Burberry check” that lines the inside. It is a combination of camel, ivory, red and black. It was used, and is still used, to line the inside of the iconic coat. Trench coats became popular when soldiers came home from war and could be seen wearing the outerwear. Soon enough, Hollywood captured the look and adapted it to characters like the stereotypical detective. 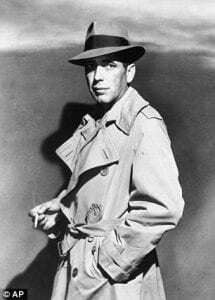 Stars from the 1940s, such as Humphrey Bogart, Ingrid Bergman, Kathrine Hepburn, and Audrey Hepbrun all can be found in film sporting the classic trench coat. The style remained popular further into the decade with Peter Falk in his classic television series, Columbo. Trench coats have definitely stood the test of time for both their practicability and fashionable look. From WWI to the runway, they were and are a favorite among many. Today we can see famous models like Cara Delevingne, Gigi Hadid, and Kate Moss still representing the Burberry product. Let’s talk hats! It’s spring and we all know what that means. 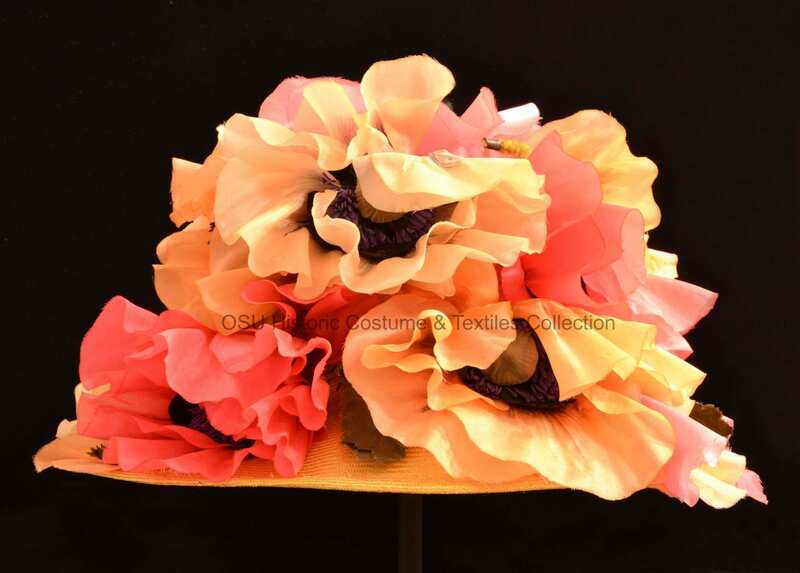 It’s time to bring out the easter bonnets and hats decorated in flowers galore! In the early to mid 1900’s, a hat was part of a woman’s everyday outfit. Not only was it necessary, but one designer, Sally Victor, believed that the right hat could make any woman prettier. Born on February 23, 1905 in Scranton, Pennsylvania, Sally Victor grew a love for design at the young age of eight. After her family moved to New York, her aunt, who happened to be a milliner, taught her the ins and outs to fixing and revitalizing hats. 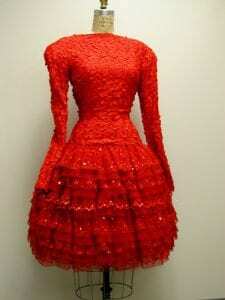 However, she began creating her own designs for herself and friends as well. Sally Victor began a successful career beginning at the age of 18. As a member of Macy’s millinery department, she was able to move up to assistant millinery buyer within three years. She gained more experience by working at Bamberger’s Department store in Newark. After marrying Sergiu F. Victor, a wholesale milliner himself, in 1927, she started her own label in 1934 in New York where her hats would become popular in stores like Fifth Avenue. Victor became one of the most well-known milliners of her time, being known for her unique style and craftsmanship. Victor gained her inspiration from a number of unique sources. They included Japanese armor, Chinese Lanterns, Native American Art, and works of various designers, one being Frank Lloyd Wright, an American Architect and interior designer. She sold for the mass market by offering baby bonnets, Pompadour hats, honey hives, Tudor tops, and Grecian Pillboxes just to name a few. Among her achievements were winning the Fashion Critics millinery Award in 1943, the Coty American Fashion Critics Award in 1944 and 1956, creating ready-to-wear hats as well as collapsible hats for easy travel, and rejuvenating the Ecuadorian economy with her revitalization of the Panama straw hat. 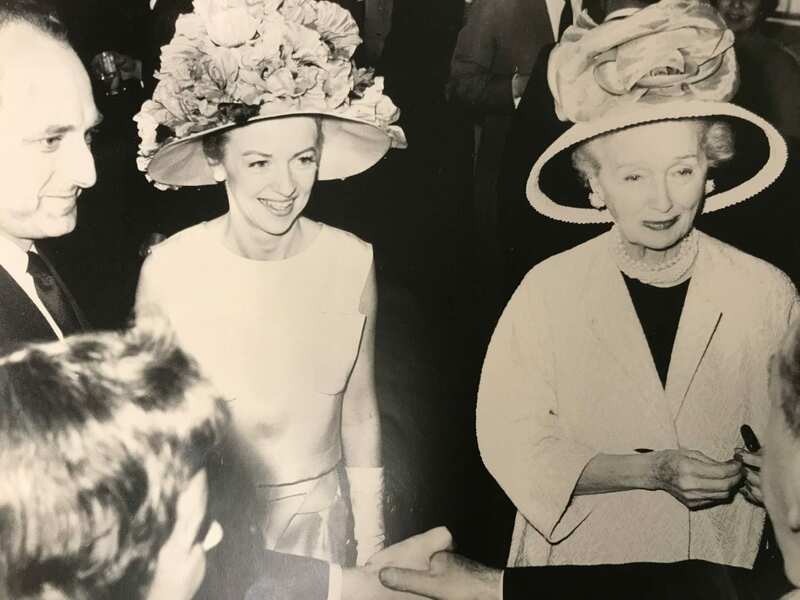 And although she created hats for everyday wear and women, she also designed for First ladies Mamie Eisenhower and Jacqueline Kennedy, and American actress and consumer advocate, Betty Furness. Betty Furness’ career began with a staring role in Alice In Wonderland. In 1932, after various commercial advertisments and professional modeling, she was signed to a film contract with RKO Studios. She stared with well known names like Fred Astaire and Ginger Rogers giving her a career was successful that declined in the 1940s, however. So, she began her journey of commercial advertising once again. Furness worked for Westinghouse Products and was a natural in filming live broadcast commercials. Her independent nature, modest clothing, sense of style, and personality made for a perfect combination. She also became a regular in the ever-famous television series, What’s My Line?, where she was a frequent panelist. In 1953, Furness even started her own show Meet Betty Furness. In 1960, her advertisement career ended after the producer of Westinghouse Products decided he wanted a younger spokeswoman. Unable to be taken seriously because of her past commercial advertising reputation, she turned to radio along with promotion of the Democratic Party. Betty Furness can be seen below wearing a hat by Sally Victor. It is a natural colored straw hat decorated with pink and beach poppies. It is officially the first day of spring! The sun is shining, the birds are singing, and floral is everywhere! 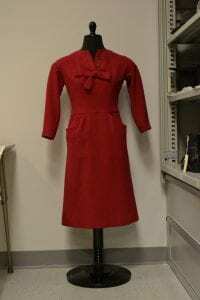 Here at the Historic Clothing and Textiles Collection, we have an abundance of floral patterned clothing and accessories from buttons and hats to paper dresses. One of the most well known designers for the floral season would be Lilly Pulitzer. She was previously mentioned in our women’s history month post, but today we will be solely focused on the designer who got her start at an juice stand. Lilian Lee McKim was born in November of 1931 in Roselyn, New York to a family of wealth. Her schooling was only the best. She attended the highly regarded Miss Porter’s School. As life went on, she met Peter Pulitzer of the Pulitzer Prize family. At the young age of 21, she eloped with him and they took off for Palm Beach. At one point, she became troubled and put herself in a psychiatric hospital where she hoped to receive treatment. However, the doctor told her there was nothing wrong with her. She simply needed something to do. Her solution? Well, her family already owned an Orange crop, so why not just open a juice stand? This idea would actually work. What she started would turn into more than she probably ever imagined. Lilly had a major problem, however. When making juice, the juice from the fruit would get on her clothing. One cannot simply make juice and be seen with a stain on their clothing! Something had to change. She had a seamstress create a dress she designed in order to hide the stains. The fabric was fun, bright, and really attracted attention. It was unlike anything that society had seen before. 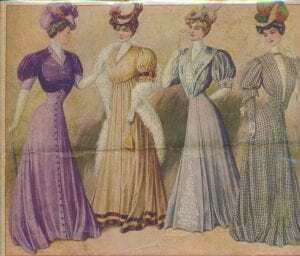 Women were used to wearing toned down colors, tight dresses, stockings, stilettos, and being up-kept. Lilly had introduced them to a free-spirited way of dressing, a rather bohemian style for the time. The fabric would be light enough to survive the Florida heat, yet loose and somewhat freeing. The style swept the nation. Everyone would soon know the name “Lilly”. After people took notice of her dresses, her husband placed over 80 dresses in his stores. Little did they know that this business would not only last two years, but still be alive today! One of the reasons her company truly succeeded was because of her connection to the higher class. She was a socialite and married a Pulitzer, which is the perfect equation for success in the business world. She had connections from Florida to New York. However, the breaking point was probably when Jackie Kennedy wore a pair of her designer pants. After this, there was no going back. The future of fashion was in Lilly’s hands. Lilly was always noted for being wildly creative, had a big heart, and an even bigger personality. This may be one of the reasons we are still in love with her fashion influence today. Lilly was described at one point as being more of just a truly creative individual rather than a business woman. When the stress of the job became too much, her role ended eventually filing for bankruptcy when the 90’s begged for minimalistic designs. The company moved on to new ownership, however, and Lilly still kept her spirit alive as a creative consultant. It’s time to dress up for everyone’s spring holiday, Easter! Pastel colors are often thought of when spring pops up. Pastel blues, pinks, yellows, and greens fill the stores with plastic Easter eggs, candy wrappers, and giant stuffed animal bunnies and chicks. But why are these colors so popular this time of year, though? Easter Parades were once walked by people adorned in your everyday dark-colored clothing. It wasn’t until the 1870s that men, women, and children began to wear lighter, happier colors. Spring is often a sign for renewal and new life. In the Christian world, Easter is a sign for the resurrection, a new beginning. But even nature agrees that it is time to liven up. The trees start to bloom, the birds decide to come back, and the yellow tulips spring up from the ground, telling us that warmer weather is coming. This idea of new life and nature’s blossom is one of the biggest impacts on spring fashion. 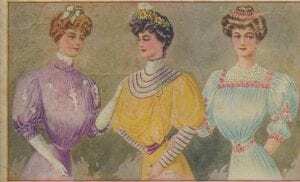 Below are images of a from April 1906 poster illustration called “The Smartest Fashions in Easter Hats, Costumes, and Blouses from The Crowell publishing Company. 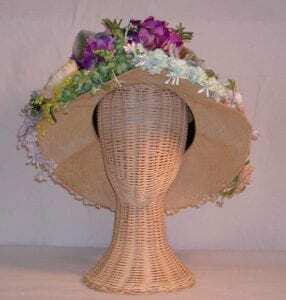 Easter Bonnets: Don’t Leave Home Without One! The Easter Bonnet used to be a staple for women’s fashion. They partially received their origins from the Christian custom of buying new clothes after the Lenten season. It was often common to wear your “Sunday best”. However, once again, Spring is seen as a time for new life and rebirth. So, one of the most common symbols of rebirth we can think of in the spring time is the flower coming into full bloom. Wearing hats is also part of the American tradition called “The Easter Parade”, a Fifth Avenue Parade in New York, which emerged in the 1870’s after the Civil War ended. The unorganized event was a symbol of entering a happier life. After church services, crowds would walk down Fifth Avenue. One million attended the event in 1940. Today, it is less of a religious event and more secular one focused around the size and celebration of the Easter season. March is Women’s History month! 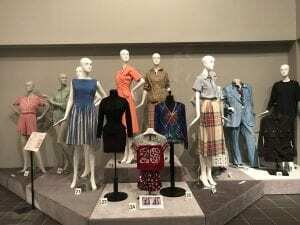 To celebrate the women’s contribution to not only society but also fashion, today’s blog post will commemorate the past achievements of female designers. 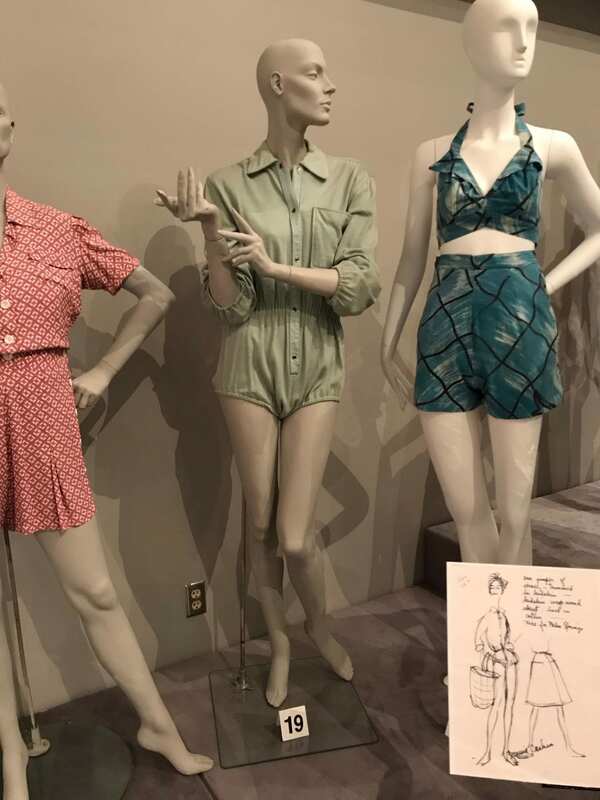 Although there have been countless women in fashion worth mentioning, we will be focusing on a few whose designs have made it into our collection. Bonnie Cashin was born on September 28, 1915 to a dressmaker and a inventor. By the time she was eight, Cashin was already creating sketches, and by 16, she began her career as a fashion designer. Cashin became the costume designer for Franchon & Marco, a Los Angeles dance group. Because of her impressive work, the manager of Franchon & Marco persuaded her to attend the Art Students League in New York City. Upon attending the University, she quickly rose to the top becoming the head costume designer for the Roxyettes, today’s Radio City Rockettes, at the age of 19. “The youngest designer to ever hit Broadway” could be read about in the New York Times. Bonnie Cashin’s achievements also included working for the ever prestigious house of Adler & Adler, working alongside Vera Maxwell and Claire McCardell creating women worker’s civilian defense uniforms, designing for 2oth Century Fox fims such as Give My Regards to Broadway and A Tree Grows in Brooklyn, winning the Neiman Marcus and American Designers Coty Award, opening her own studio “Bonnie Cashin Designs”, creating a style for a more independent woman, creating the leather dress, and popularizing women’s sportswear. Another notable woman in the world of fashion would be Lilly Pulitzer. She was both a fashion designer and a socialite, often referred to as “the Prep Queen”. This is because of her use of bright colors and floral patterns that could often be seen among high society. 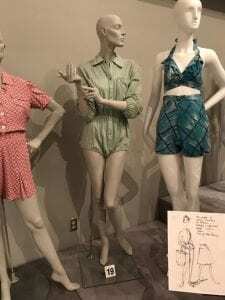 The story of how Lilly Pulitzer began is a very intriguing one. She was always someone to do a task in her own way. In the 1950s, she eloped with Peter Pulitzer. He was the grandson of Joseph Pulitzer, the creator of the Pulitzer Prize. After moving to Florida with her new husband, she started a juice stand in Palm Beach. This may seem like an odd thing to do, but her new family owned an orange grove in Flordia, which made running a juice stand quite convenient. To avoid the drips and stains of orange juice, she created her own clothing made of bright, fun material that could be resistant to the stain. No apron needed. Her style became so popular that the demand for her designs became greater than that of the juice, and the rest is history. Today, Lilly Pulitzer is the go-to fashion for vacationers. If you are in the mood for fun, sun, and positive energy, then Lilly Pulitzer is for you. HCTC also features one of her designs currently. Karl Lagerfeld could be described as a man with many talents. He was a creative director, fashion designer, photographer, artist, and self-proclaimed caricaturist. However, he may have been best known for his position in Chanel as creative director from 1983 and Fendi since 1965 until his current death. In his later years, Lagerfeld was easily recognizable with his white hair, black sunglasses, high collars, and fingerless gloves, and outspoken personality. Although he was not highly regarded by everyone, his impact on the world of luxury fashion will not be forgotten any time soon. Karl Otto Lagerfeld was born on September 10, 1935 in Hamburg, Germany. He reportedly disliked his childhood. His father, Otto Lagerfeld, moved his family and him to a small town. He was different and didn’t to fit in a school wearing his suit and tie. His mother, Elisabeth Lagerfeld, is where he attained his quick-spoken nature. Her words and actions shaped who he would become. While answering his mothers questions, the answer “…had to be quick, and it had to be funny. If I thought of something ten minutes later she would slap me.” Because of his unsettling childhood, he fled to Paris, where he ended up winning a coat design competition that had been sponsored by the International Wool Secretariat. With this recognition, he became the assistant and apprentice of Pierre Balmain, a French fashion designer. As Lagerfeld worked and studied even more, he became associated with names such as Jean Patou, Tiziano, Chloe, Charles Jourdan, Krizia, and Valentino. His love and expertise for high, luxury fashion flourished. He was recognized and hired by Fendi in 1967 to update their fur line, introducing rabbit, squirrel, and mole pelts. Lagerfeld was never truly admired for his own clothing line, rather, he was recognized for the improvement and modernization of already-existing lines. About a decade after the death of Coco Chanel, Karl Lagerfeld was hired by the near-death company. With the loss of Coco Chanel, the company had struggled to keep up with the high fashion industry, becoming quite basic and boring. However, with the help of Lagerfeld, the company revamped its way to the top. He introduced the two intertwined C’s, so easily recognizable today and created looks inspired from Coco herself. Lagerfeld and his team would pace themselves in the shoes of Coco in order to get the best designs possible without her being there for guidance. Her signature looks consisted of simplicity, elegance, nautical, stripes, and an abundance of large faux pearls. Coco was also known as the inventor of the little black dress and made sure to follow her style and not the latest trends. To the left is a short black wool crepe Chanel dress created by Karl Lagerfeld. Coco Chanel was known for her faux pearls and pockets in her dresses. With this dress, Lagerfeld kept her style alive by sewing pearls onto the dress and adding pockets. To the left is another design by Lagerfeld created at the turn of the twentieth to twenty-first century. It is both a sign of the past and look to the future. The outside is has an acetate iridescent finish, a modern and futuristic look. However, on the back we see Lagerfeld uses a smocking technique. 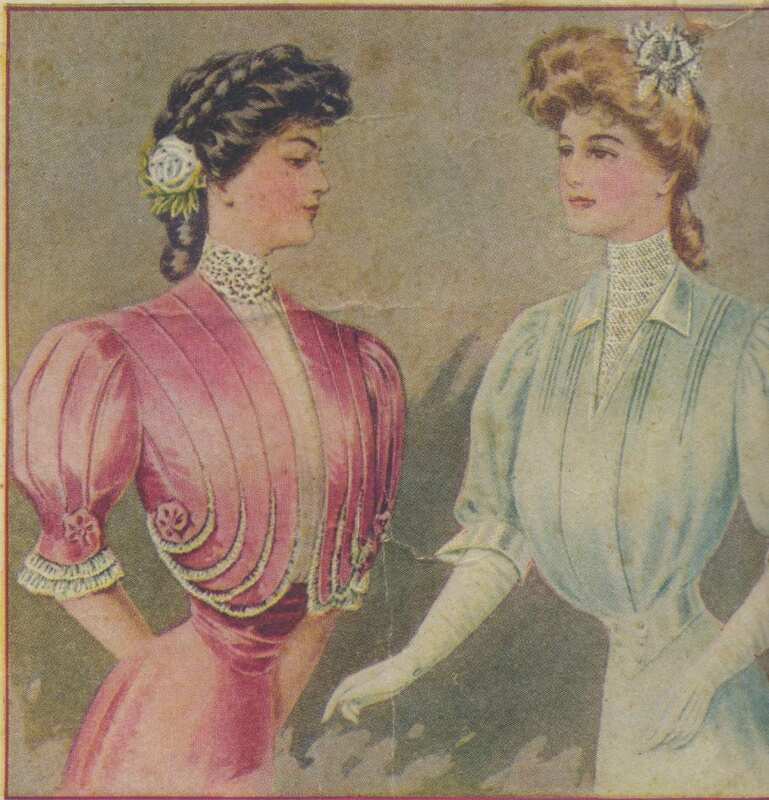 This technique was especially popular in the mid-twentieth century, specifically among young girl’s dresses. Overall, this unique trench-style coat is both leaving the past behind while saying hello to the new century. Every February, the US celebrates Black History Month. It is a special time to recognize and honor famous African Americans who have made a significant impact in the past and present. 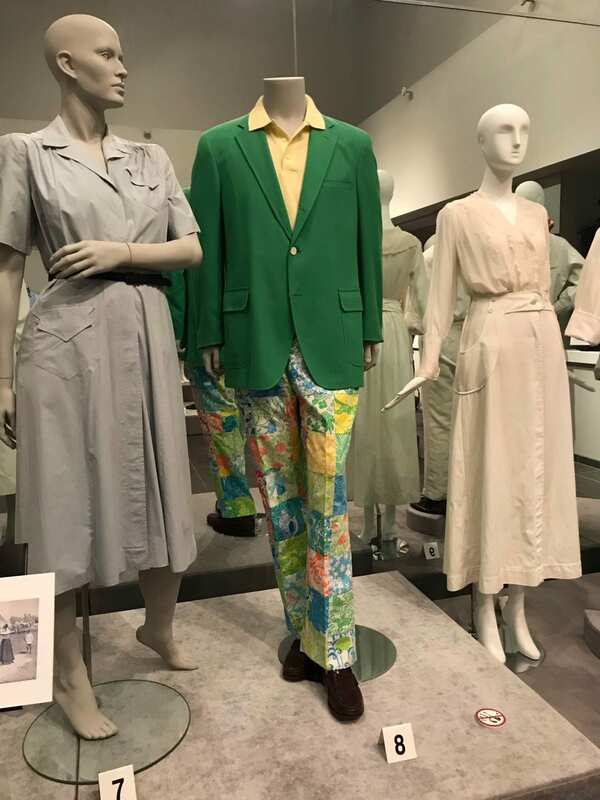 The Historic Costume & Textiles Collection was the recipient of a donation of several garments made by a talented seamstress who also had a larger claim to fame. 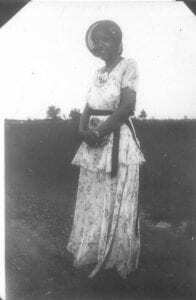 Dr. Ruth Ella Moore was an alumna of The Ohio State University, and the first African American woman to earn a PhD in the natural sciences. Born in 1903 in Columbus, Ohio, to William E. and Margaret Moore, Ruth Ella Moore was the daughter of an accomplished artist. Her mother had graduated from the Columbus State College of Art and Design. She had encouraged Ruth from a young age to pursue a higher degree of education. Ruth and her two older brothers, Donovan L and William E. Moore, were educated in the public schools in Columbus, Ohio. Ruth Moore attended the Ohio State University for both her undergraduate and graduate degrees. 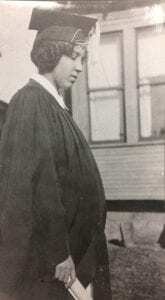 In 1925, she graduated from the university and then went on to receive a Masters of Science Degree in 1927. She continued to further her education by earning her PhD in bacteriology from the Ohio State University. 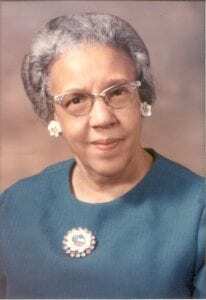 After receiving her doctorate in 1933, she officially became the first African American woman to earn a graduate degree in the natural sciences. Howard University quickly hired her in 1940 as an assistant professor in the medical college, where she would stay until her retirement in 1973. Throughout her time at Howard, she managed to move up as chairperson for the Bacteriology Department, became associate professor, and conducted research in bacteriology. Moore was also a member of the American Association of Science, American Society of Immunology, American Society of Microbiology, and the American Public Health Association. She earned two additional honorary degrees as well. They included a doctorate in Literature from Oberlin College and a Doctor of Philosophy from Gettysburg University in 1973. Besides being a well known scientist, Ruth Ella Moore was also a seamstress. She received a love of fashion and an elegant, classic style from her mother, the artist. Moore was known to sew much of what she wore. In fact, she made a great majority of her entire wardrobe without having any type of degree in clothing design and construction. Keeping with the latest style and fashion, she was known to carefully select her patterns and materials for crafting the outfits. Several of her garments were featured in The Sewer’s Art: Quality, Fashion and Economy, in 2009. Ruth Ella Moore died July 19, 1994. 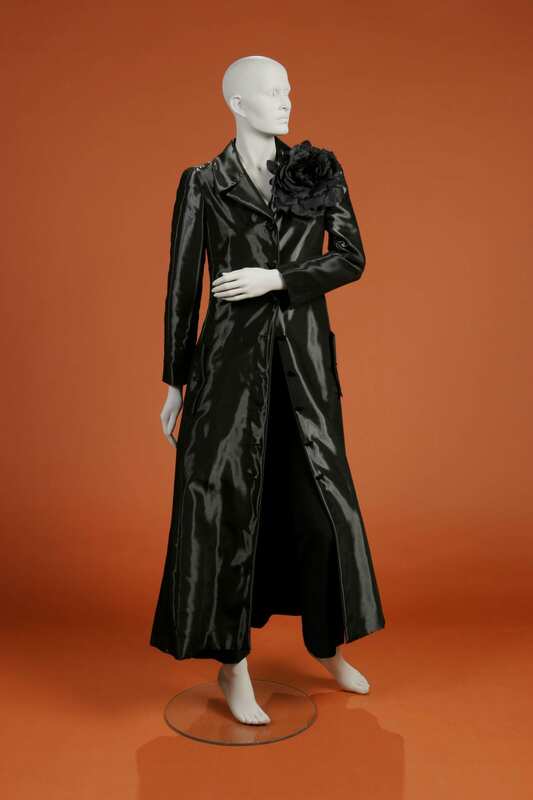 Dr. Moore made her garments for all occasions, from day to evening wear, and tailored to draped constructions. Two piece woman’s off white long sleeve jacket and black skirt, suit. The jacket has two black triangular inset sections below the shoulders and a black-notched collar. Five, large covered buttons form the front closure. The black and white color scheme is carried over into the asymmetrical hat, pieced with black and white felt swirling shapes. It’s stand-up style is reminiscent of the crowns worn by Nefertiti in ancient Egypt. This red-violet velvet floor length evening dress is part of an ensemble. Cut on the bias grain, it’s bodice has gathered inset sections at the side-fronts. 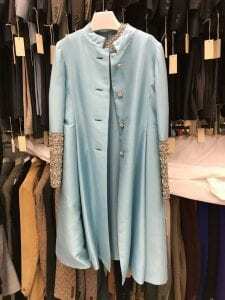 Not shown in the picture is the second piece to the ensemble, a long green velvet jacket with padded and extended shoulders and a shaped hemline. A long taffeta dress with pink, blue, yellow, and green floral pattern has short draped sleeves with gathering at their sides. The draped bodice molds the body to the hips where it joins the floor length circular, four-piece skirt on a shaped line. The seam below the V-shaped neckline confines the fullness at center-front. 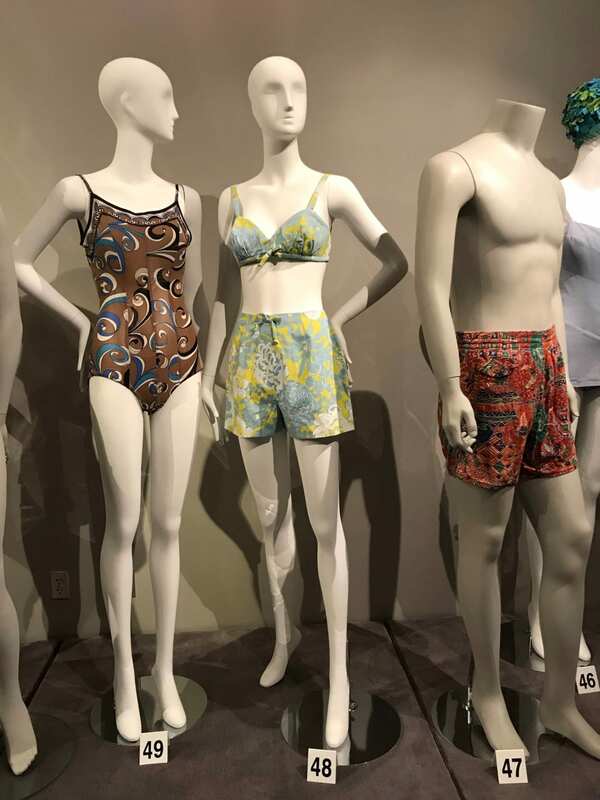 One of Ruth Ella Moore’s swimsuits is currently on display in HCTC’s Sports & Fashion exhibition. It is not certain if she crafted the bathing suit herself or if it was bought ready-made. It has no manufacturers’ labels and dates from the 1930s either during the years she was pursuing her PhD or shortly thereafter. February is the month of red. Valentines Day, Chinese New year, and heart health month are all focused around this very particular color. Why is it so popular? What is its meaning behind each of the celebrations? How has the color impacted the fashion world as well? Valentine’s Day is full of big red, heart-shaped boxes of chocolate, stuffed bears with red and pink bows, and vibrant red roses. In the case of this holiday, red can be seen as a symbol of love and a way of expressing it. The holiday became big in the 1840s after the exchange of valentine cards and gifts began. Soon after, February 14th became a major consumer holiday. Today, over 20 million dollars is spent on Valentine’s Day alone. According to science, red has a psychological effect on our minds. It makes us appear to be more confident and happier. The color is also associated with beating hearts and the rushing of blood. When attraction occurs, chemical reactions take place, causing the heart to pump faster and our face to turn a rosy red. The other holiday in February is Chinese New Year. There are two color of the Chinese New Year: Red and Gold. However, today we will focus on red only. It stands for happiness and good fortune in the forth coming year. One tradition is to place red signs or paint on doors and windows before the holiday takes place. Red also helps to scare away any spirits in the Chinese culture. So, they will have fire, which color symbol is red, and dress completely in red to keep the spirits away. It is also very common to pass out red envelopes, also called “Lai See”. They are given to young single individuals, employees, and children and filled with money of an even number. An even number is for good luck, but an odd number would signify a funeral, which would not quite a symbol of good luck. The American Heart Association created an initiative called “Go Red for Women” in order to increase the awareness of heart health in women. With this movement, it is more than wearing red or learning about heart health. It is about women taking control of their life and health and creating an incentive for women everywhere to take their own life’s health into consideration. Why red? Well once again, red is often associated with the color of our beating heart. Red has also made it in the heart of fashion everywhere. It is a sign of elegance and sophistication and is perhaps the largest used color in all of fashion and cinema. Unforgettable actresses like Elizabeth Taylor or Sophia Loren made it even more popular in the mid 20th century. It was even the favorite color of the ever so famous designer – Arnold Scaasi. The Historic Clothing and Textile Collection here at Ohio State has several pieces within storage worthy of showcasing this February. 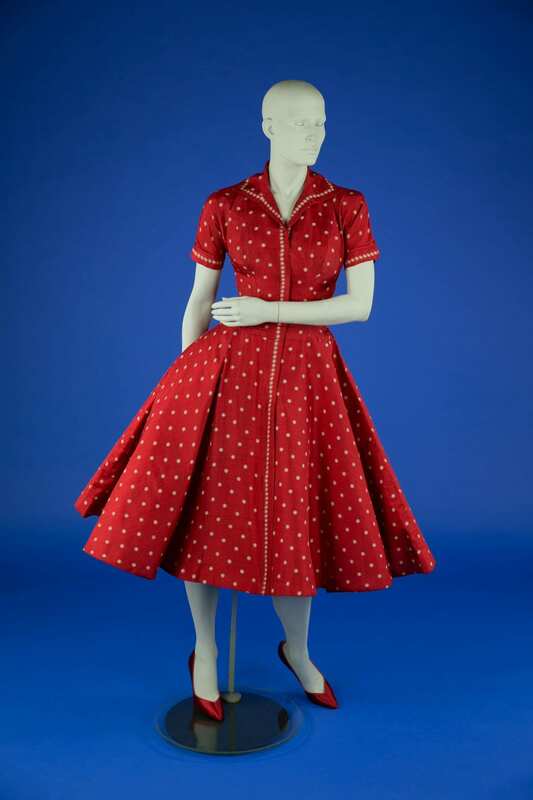 To the left is red polkda dot dress form 1953-1959. It is a silk shantung zip front dress with white circle dot and stiff non-woven underlying in full circle gored skirt. 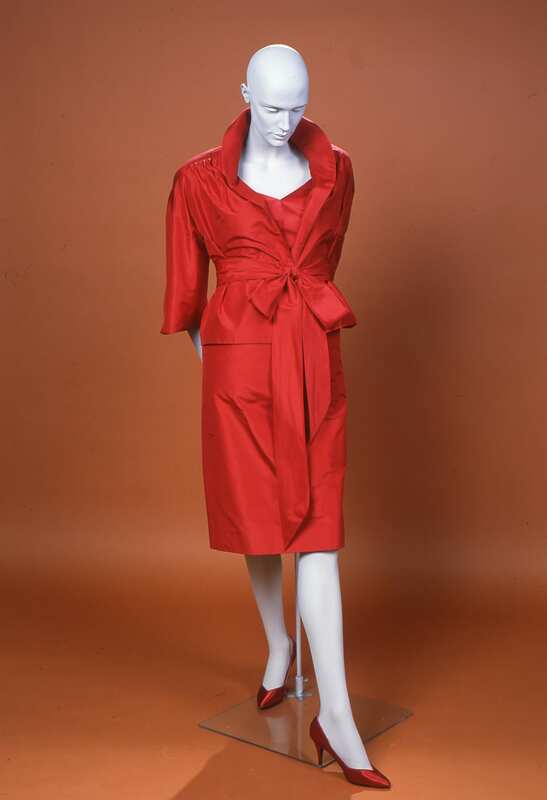 1987 red Arnold Scaasi cocktail dress. Red was Scaasi’s Favorite color. Thoughts on Leopard skins and prints have been wide spread since the early 20th century. It has either been a highly valued, luxurious and sophisticated item among the upper class or a rather trashy sign. It has been worn by president’s wives, royalty, and even rock stars. Leopard skin coats and other clothing and accessory items became especially popular in the 1920s after movie stars like Joan Crawford strutted through Hollywood movies in the skin. One fashion designer of the time, Christian Dior, kept the trend going for the most glamorous of women. 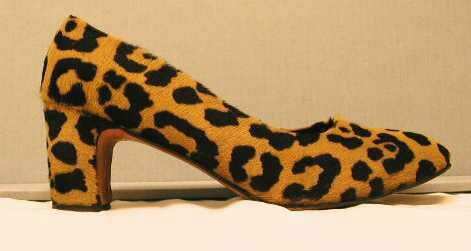 He was quoted, ” If you are fair and sweet, don’t wear it.” In the 1950s and 60s, this gave way to the idea that a woman who wore leopard was a trophy wife. In other words, the print represented a rather “undomesticated” woman. The print that was once seen as sophisticated now became a trashy symbol. It made itself into a racy Hollywood catalog, Fredericks of Hollywood. When the 1970s and 80s rolled around, it evolved even further into a must have piece for rock and roll performers and fans everywhere, however as a print and not a skin. The Endangered Species Act of 1973 kept leopards from being slaughtered for their skin. As time went on, leopard print became popular among women for representing not only their feminine sexuality, but also a more powerful symbol for them not so much being a predator, but them not being a prey in society. The leopard stood for independence, power, and courage, making an ideal symbol. 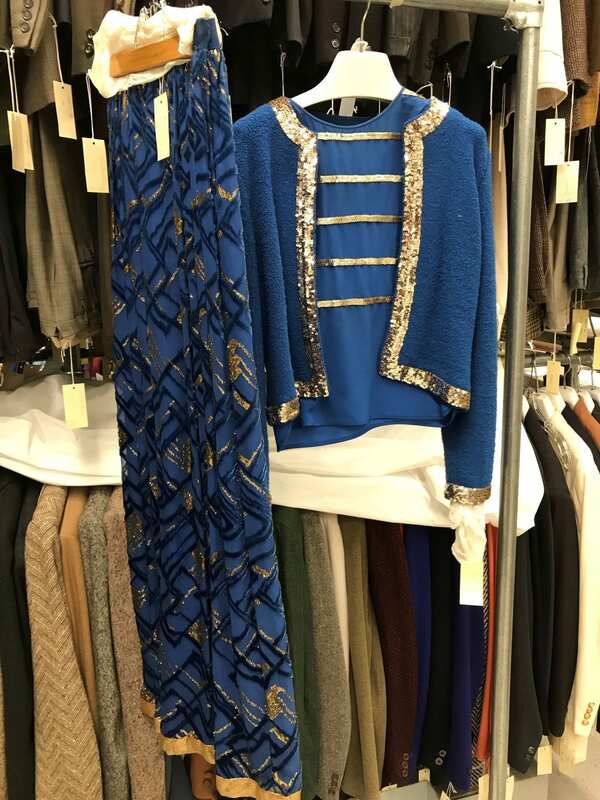 The Historic Clothing and Textiles collection is home to many clothing items such as hats, coats, bags, and shoes that have the leopard print or skin, as well a snow leopard long sleeve coat for women dating back to 1965-1975. These shoes to the left are dated from 1965-1970. They are leopard fur skin pumps with a square toe and chunky heel. Christmas has come and gone, the presents have been opened, the laughter has been shared, and now it is time to ring in the new year. We have turned from red and green to sparkling silver and gold. The celebration of the new year began over four millennia ago in Babylon. Babylonians chimed in the new year in march with the first new moon following the vernal equinox. Every year, a new king would be renewed or his throne would stay in place. It was a process on history to reach the calendar we have today. The Roman Calendar originally had 10 months and 304 days. Numa Pompilius, a king in the eighth century, added Januarius and Februarius. However, Julius Caesar changed it to the Julian Calendar when he saw that the stars and moons were not aligning. Astronomers and mathematicians were called to fix this problem and eventually his calendar, which resembles the modern Gregorian calendar that we use today. January 1st became the official start of the new year to honor Janus, the Roman god of new beginnings. For medieval European Christians, the official date became January 1st for a different reason. It followed and preceded certain religious holidays such as December 25, the birth of Jesus, and arch 25, the Feast of the Annunciation. While the Romans celebrated the new year with sacrifices to their god, Janus, and decorating their homes in laurel branches, today’s celebrations look different. The celebration vary in different parts of the world in present date. For example, the people of Spain eat 12 grapes in the moments before the new year. In the United States, the biggest celebration is in Times Square, New York. The music, fireworks, and dropping of the ball all are all part of the celebration. Millions of people watch this moment on TV. It has been a tradition ever since 1907. What you wear on new years is dependent on how you plan to celebrate. Some occasions call for black tie when a dinner with family only calls for a casual fit. Here are two dresses perfect for ringing in the new year. To the left is a ladies short feathered evening dress. The aqua tulle is accompanied by a slightly fitted straight silhouette. It has a high rounded neckline and is sleeveless with bias banding. 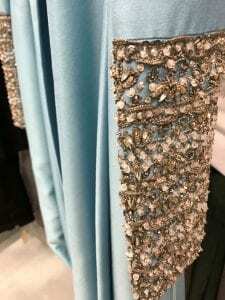 the entire dress is hand beaded and embroidered with aqua and gold metallic thread with tiny seed pearls, various shaped crystal bugle beads, small gold balls, clusters of iridescent rhinestones and flower heads. The aqua feathers ae applied on the beading creating a glimmer shimmering affect. 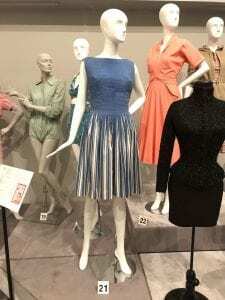 The dress ranges from 1964-1965 and was designed by Pierre Balmain in in Paris, France. 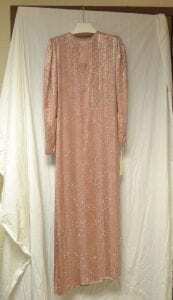 The next dress is a long pink silk dress with gold an silver sparkles. 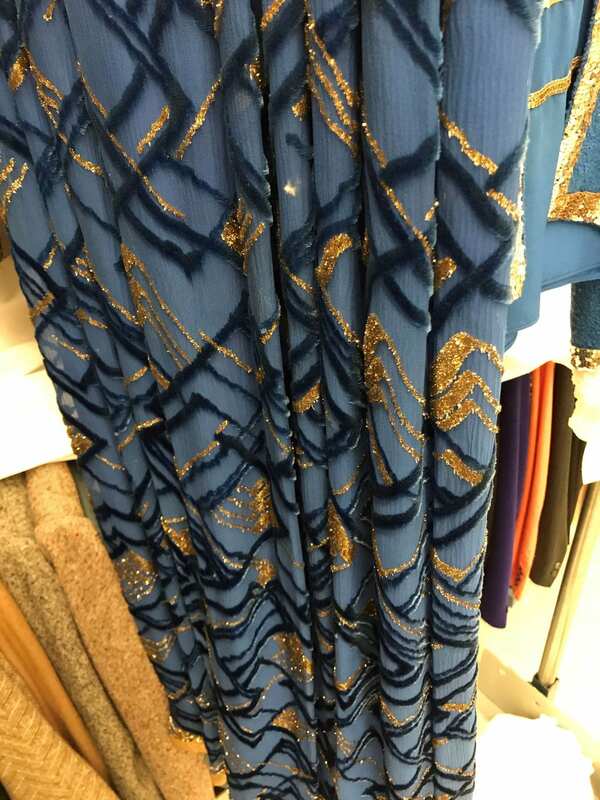 It ranges from 1980-1989. the creator is unknown, but the dress is perfect for new years because of its silver and gold sparkles. Feeling blue? As Christmas rolls around, we are normally filled with Christmas cheer, joyous music, and street lights lit up with red and green décor as far as the eye can see. However, the recognition of blue during December is often forgotten. Blue is a symbol for both the Christian and Jewish tradition around December. Have you ever heard the song “Blue Christmas” by Elvis Presley? It is a pretty popular Christmas song from the late 1950s. Elvis brought us Christmas from a different viewpoint. A sad, depressing one; quite the opposite of what we picture Christmas to look like. Blue is also a symbolic color for the Jewish holiday, Hanukkah. Blue is a part of the Israeli flag. The blue stripes on their flag are also the color found on a tallitot, which are Jewish prayer shawls worn for special occasions such as Jewish weddings, in synagogues, and bar mitzvahs. So why is blue relevant at Christmas time? Blue often evokes a feeling of sadness and just simply joylessness. We hear it in songs like Elvis’s blue Christmas, but this can be a real feeling for many people around Christmas time, especially in the cold winter. In the mid 1990s, many Christian congregations began to hold another service in addition to the four main Advent services. It takes place in the late Advent season, around the 21st. It is a form of worship for those dealing with sadness, depression, loss, etc. Everything is not always well. In the mid 1990s, the Protestant church adapted this and literally calls it “Blue Christmas”. The special service is actually helping spread the love of Christmas. They are said to help save lives every year because they are a place for the poor in spirit to go. In honor of today’s “Blue Christmas” and the overall talk of blue in December, we are going to be focusing on a few fashionable ensembles that are blue, of course. A close up of a Malcom Starr coat sleeve. The company was well known for the simplistic style, yet elaborated beaded and sequined additions. 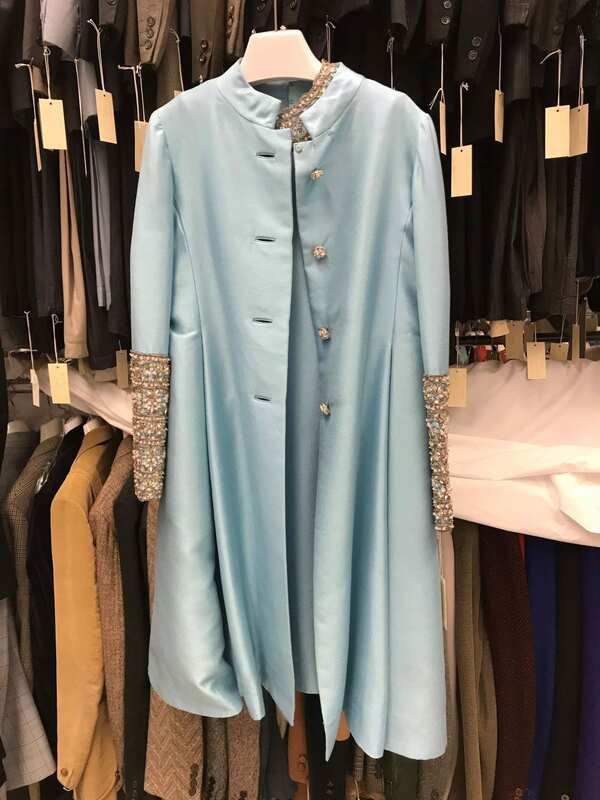 To the right is a Malcolm Starr light blue wool short evening dress and coat with a silver braid along with beading on the dress neckline and coat sleeves. It ranges in date from 1965-1970 and actually originates from Hong Kong. 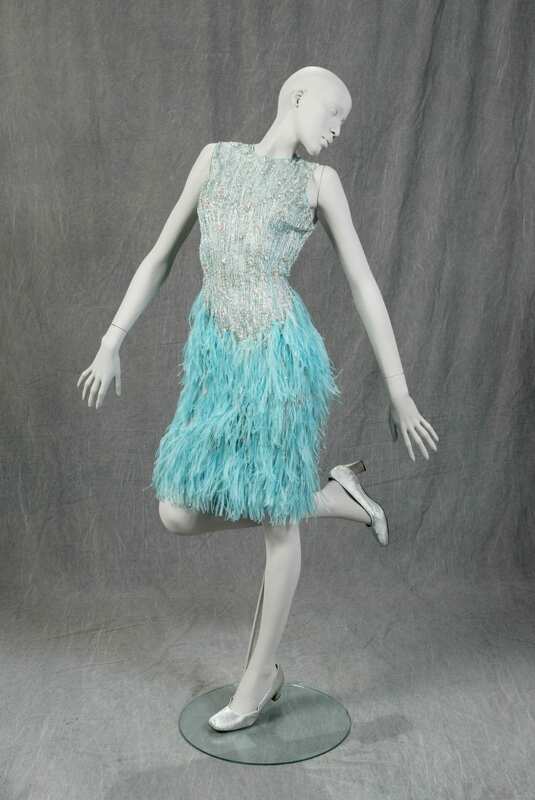 The designer, Malcolm Starr, was made popular in the 1960s and 1970s because of his evening dresses. What made them special? 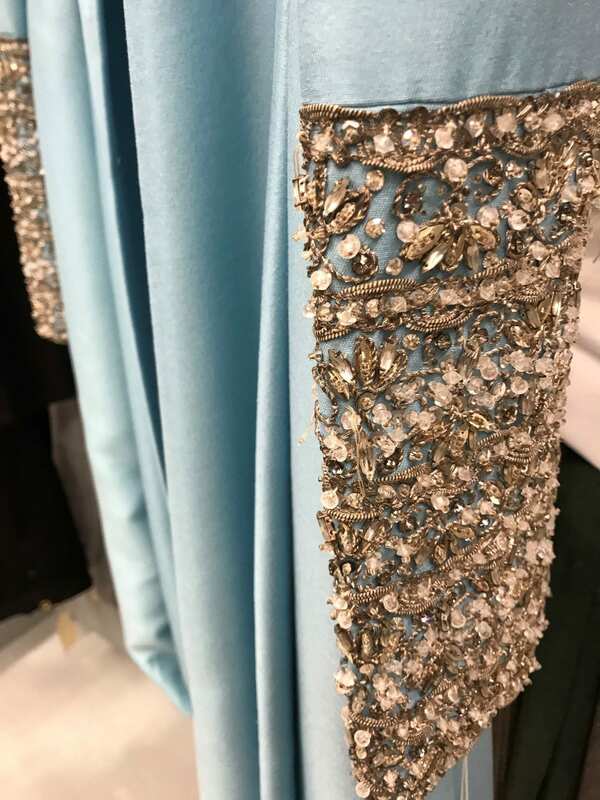 He usually stuck with a very simple design, however there would always be very detailed beading and sequin work, making it attractive to the eye. As well as evening dresses, the company was well known for suit jackets and coats. Our featured Malcolm Starr is a great example of his finest work. 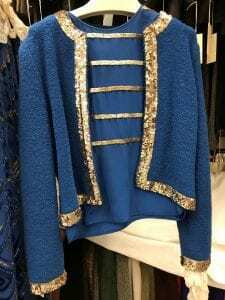 Next up is a royal blue wool knit cardigan that would fall slightly below the waist. The neckline, closure, and sleeves have six rows of gold sequins giving quite the sparkle. 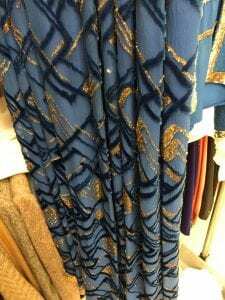 The lower half is a royal blue silk chiffon with a woven-in angular pattern. The blouse is a sleeveless silk crepe. On the front of the blouse, it has rows of 5 rows of gold sequins. It dates back to 1980 and was made by the designer, Adolfo. The story if Adolfo Sardina is a very interesting one. He actually got his start in Paris, like many other famous designers such as Scaasi. Adolfo was an apprentice to the very famous Balenciaga. He was admired from all around, but was mainly persuaded to leave Paris for New York. He worked for Emme in 1953, and two years later won his first Coty Award. The Coty Award is “Coty American fashion Critics’ Award”, which started in 1942 under the company Coty. In 1962, he opened his own business. His confidence and determination paid it forward because in 1969 he received another Coty Award. This one was special, however. His “head to toe” designs were admired greatly. he had developed his own theory that if he could design a hat well, then he could do anything. The same was true for men’s clothing. By 1976 he was producing men’s clothing for Leon of Paris, and then in 1977 got nominated once again for a Coty Award. Adolfo truly believed in fashion from “head to toe”. He came out with even more than just a gown or a hat. He introduced swimwear, luggage, shirts, neckwear, boy pants, men’s slacks, and even more beyond that. He mentioned, “A person can look put together without appearing too rigid or too extravagant…If people are astute enough to combine different clothes with flair and style, they can create their own fashion. We all must maintain the freedom to show off individuality. Fashion should be revolutionary, but always in the direction of good taste.” His love for fashion and good taste went hand in hand, that is one ting that made his work so special. If you’re feeling sad this Christmas, just know that there’s always a place for you to go. “Blue Christmas” is a term many people can sing about in a song, but it is an actual part of life and there is always hope. So, spread the love this Christmas season no matter who you are, and don’t forget to help other people out. On a happy note, we were able to showcase some of the best work by designer Adolfo and the company Malcolm Starr. Both were special in there own way. Malcolm Starr made simplistic styles stand out with elaborate beading and sequinning and Adolfo used his love of fashion from “head to toe” to create a sense of good taste in clothing. Why Is It That Blue Christmas Services Make Me A Little Blue? Why Are Blue and White Hanukkah Colors?